One of the best ways to dispose of scrap metal items is by recycling them. Submitting your scrap metal items to a recycling center will not only help the environment and the economy, but it will also add a few (or many) dollars to your pocket. 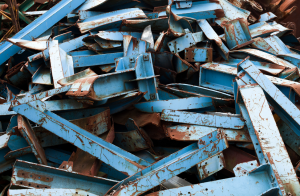 While submitting scrap metals to a metal recycling center in the Maywood area is fairly easy, there are some mistakes that scrappers tend to make. Looking to learn about these mistakes so that you can avoid them? If so, read on! We’re going to cover 4 of the most common metal scrapping mistakes. One of the biggest mistakes that scrappers make when submitting their metals to recycling facilities is failing to properly prepare them. By not preparing their metals in the proper manner, these individuals are missing out on money. This is because certain types of metals possess more value than other metals do. For example, let’s say you’re submitting a large scrap metal item such as a refrigerator. While you could just submit the refrigerator as is, the more effective option would be to tear out the internal metal components of the refrigerator and submit them all separately. This is because, separately, the internal components are worth more than they would be when contained within the frame of the refrigerator. Another mistake that scrappers make when recycling scrap metals is not knowing enough about the metals they have. Not only are metals divided into large groups such as iron, steel, copper, and aluminum, but they’re also divided into smaller groups such as #1 copper and #2 copper. These designations make a difference because they carry different values. For instance, #1 copper will yield a higher monetary return than will #2 copper. It is important to know the differences so that you know what to prioritize. While all metal recycling facilities do essentially the same thing, not all metal recycling facilities are created equally. In fact, they differ greatly in terms of customer transparency, customer service, payment methods, and more. This is why, when trying to submit scrap metal items for recycling, you will want to pick your recycling center carefully. We recommend looking up customer reviews, talking to representatives from recycling centers, and doing everything else that you can to get a feel for a specific company’s capabilities and service. Then, once you feel comfortable with a specific facility, you can move forward with the transaction. One last mistake that metal scrappers often make is accepting too low of a price for their submissions. The price of scrap fluctuates over time, and even from recycling facility to recycling facility. In order to get the best return possible, you’ll need to strike when the iron is hot. Not only should you call around to several metal recycling centers to inquire about their scrap rates, but you should also try to plan on submitting your metals when they’re worth the most money. For instance, generally, you’ll be able to yield a higher return during cold months than you will during warm months. Do you have scrap metals that you’re looking to recycle? Looking to submit your metals to a Maywood metal recycling facility? If so, look no further than Central Metal Recycling. We accept scrap metals of all kinds, including, but not limited to stainless steel, iron, copper, and e-scrap. Regardless of the type and amount of metals that you submit, we will compensate you for your submission. To start recycling your metals, contact us right now!